Oh, goodness. Spotted this on the Cycle Chic radar [we see everything...] and we were compelled to blog it tout suite. 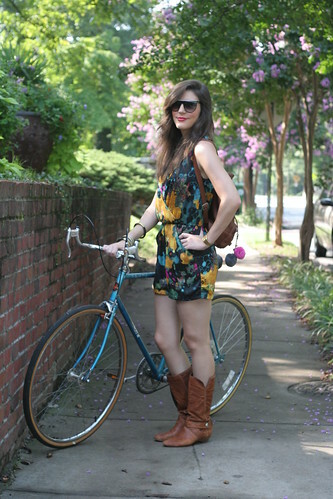 Some classic cycle chic from the Atlanta Street Fashion blog. This cyclist recieves instant and lifetime Cycle Chic citzenship. I think "her" name is Jim. She looks just like Liv Tyler! Totally cool - and, by the way, Anonymous, do you have anything complementary to say about this picture? I seem to detect a touch of jealousy here!